Halloween can be a fun day for people but it can be scary and dangerous for dogs. The decorations, costumes and candy can all lead to problems if we are not aware. Although it may be tempting to include your dog in the festivities, it is important that you understand the risks and benefits of having your dog involved in Halloween. Decorations can cause fears and can be hazards in your home. We like to decorate our houses with scary skeletons, witches and zombies for Halloween, unfortunately, these decorations can cause fear in our dogs. If you notice that your dog avoids, barks or lunges when he sees Halloween decorations, he is likely afraid of the novel object. You can try to desensitize your dog to the decoration or you may just choose to avoid them to keep your dog comfortable. In some cases, dogs will choose to chew on Halloween decorations, therefore it is important that you keep your decorations out of reach of your dogs. Costumes can also be very frightening to dogs. Although some dogs don’t care about the goblins, ghouls and gremlins, they can be very scary to some dogs. If your dog is not comfortable with new people, people with hats or sunglasses, he probably won’t be comfortable walking among trick or treaters. Most dogs also do not appreciate the constant door activity with trick or treaters either. It is often better to have your dogs confined to a bedroom or somewhere away from the front door on Halloween night. 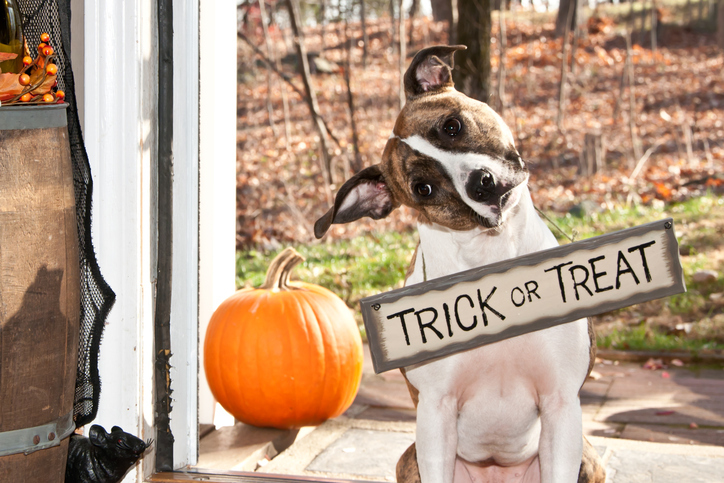 Candy and treats are a huge part of Halloween but some candy and treats can be toxic to dogs. It is best to keep all candy and treats out of reach of your dog. If your dog finds a way to eat some of the “off limits” treats, call your veterinarian immediately to find out if it is toxic. 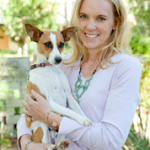 We love our dogs and we want to include them in the activities that we love. Unfortunately, not all dogs enjoy the activities that we enjoy. It is much kinder and more humane to keep them away form activities that may scare them. Next time you want to include your dog in your activities, take time to consider what your dog would like and what would be best for them. Every dog is an individual, therefore some may enjoy the chaos of Halloween while others would rather skip the holiday all together. Be kind and do what is best for YOUR dog!